Lovely Princess diamond 14k Gold right hand ring. Available in 14k Yellow or White gold. This ring holds 4 diamonds totaling .80ct tw. Price shown is based on the I1 G-H color diamond. Customize this ring with your clarity preference. 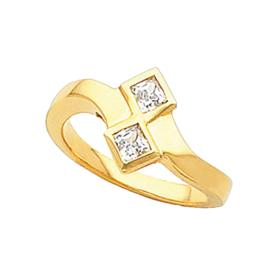 Beautiful 14k Yellow gold diamond right hand ring. This ring is priced with SI 1 clarity G-I color diamonds totaling .60ctw. Just add your ring size to the comment box at checkout. You'll love this ring design. 14k Gold Diamond Right Hand Ring. 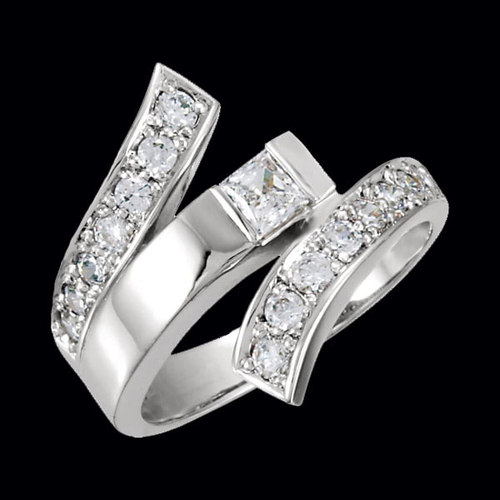 Available in 14k White or Yellow Gold and two carat weights, a 1/2ctw and larger 1 1/5ctw selection. Nice wide band contemporary style right hand ring. Fantastic ring, you'll love it. Simply Irresistible. 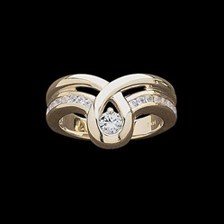 14k Gold Diamond -I 1 G-I right hand ring, 3/8ct tw . Exciting new design, customize this ring with a lovely gemstone. Diamond Right Hand Ring. 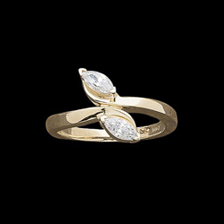 Wind Chimes, a Gorgeous 14k gold Marquise diamond right hand ring totaling .88ct tw. Available in 14k Yellow or White Gold. Diamonds are SI 1 clarity, G-I color. Venus Island, 14k Gold or Platinum Diamond Right Hand Ring. This ring holds a 3.5mm center Princess Diamond accented by 15 diamonds 2-2.2mm round. Price shown is for the SI 1-2 G-I color, I1 G-I also listed. Very Nice Ring. Stylish Right Hand Ring in 14k White or Yellow Gold. Vibrant SI 1 clarity G-I color diamonds look fantastic in this ring. 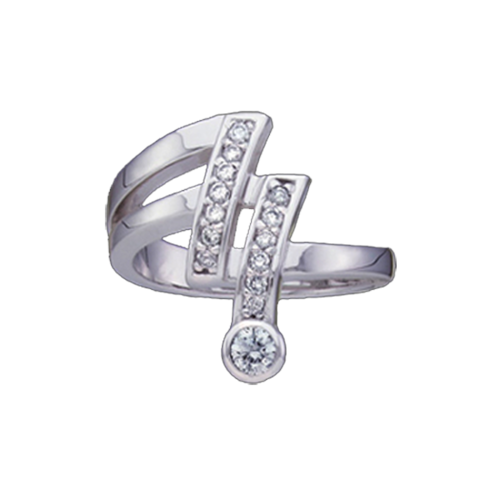 Show the world You have arrived and celebrate your success with this beautiful diamond ring. Diamonds total 3/4ct tw in this diamond right hand ring design. 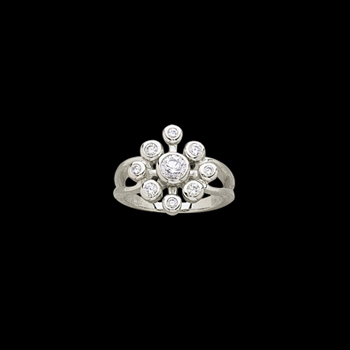 14k White Gold or Platinum Diamond Right Hand Ring - Tiara. This Beautiful Right Hand Ring measures aprox. 20mm at the widest point. (25mm - 1 inch). Center diamond is Princess cut 3.75mm. Diamonds total 1 1/3ct tw. Diamond Right Hand Ring. 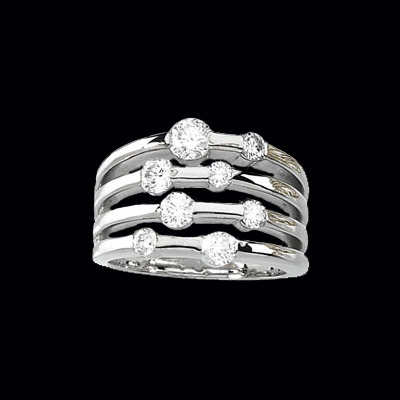 14k White Gold right hand ring is a simple design but packs the sparkle with 3/4ctw diamonds. The right hand ring is a brilliant symbol of your success and style. Exquisite Diamond Ring. 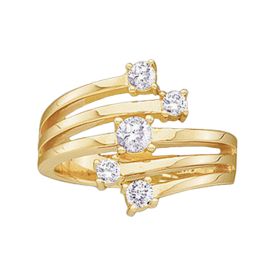 This 14k White or Yellow Gold Right hand ring, Round and Marquise Diamond create this Design. Diamonds are I1 G-I in color, price also shown for the I1 quality .80ct tw. 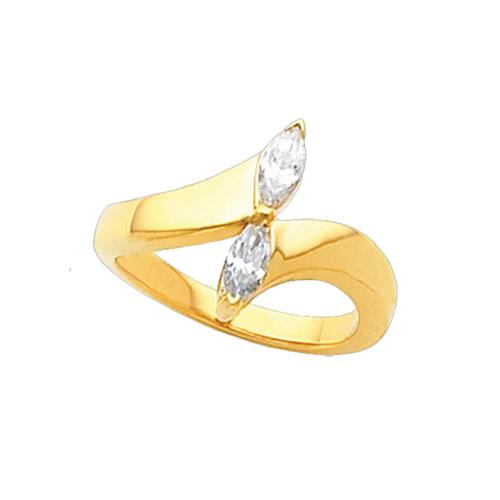 14k Gold Marquise design right hand ring. Two 1/4ct Marquise diamonds in a gentle pass design create this New 1/2 carat tw right hand ring style. Available in Yellow or White gold and SI2, SI 1 clarity choices. Email for additional pricing. 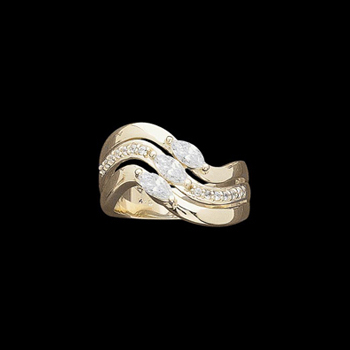 Right Hand Ring Design, Diamond Waterfall 14k Two Tone Gold or White gold. Price shown for the 1/4ctw. Diamonds are SI 2-I1 clarity, G-I color. You will love this fantastic design, perfect for any occasion. 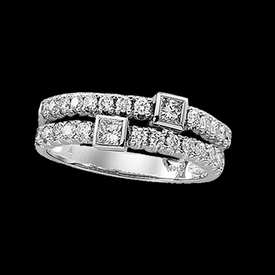 14k Yellow or White Gold Diamond right hand ring ring. 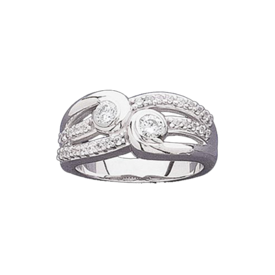 This Beautiful Unique style has is available in a 1/2ctw ring and you'll love it's rich style. Diamonds are I1 clarity G-I color, easily upgrade to an SI 1 or VS quality diamonds, use our request for pricing. Lovely 14k Gold diamond right hand ring. 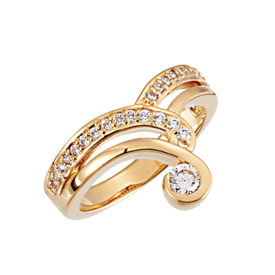 Set with 3/8cttw this exciting right hand ring is available in 14k Yellow, White, or Rose gold. Brilliant diamonds are SI 1 clarity G-H color. Customize this ring with a lovely gemstone. Right Hand Ring, Incredible 14k Gold Diamond right hand ring. This ring is available in any clarity, color diamonds or with colorful gemstones. Our price shown is set with SI 1 clarity G-H color diamonds totaling 3/8ctw. Simply email for additional pricing. 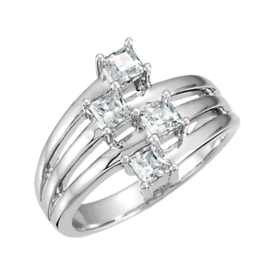 Sophisticated design diamond right hand ring. Marquise diamonds 1/4ct each create this great style. Order in 14k White or Yellow Gold. Price shown is for SI 2, SI 1 also available. Ring weighs 5.43grams and measures 3.9mm wide at the shoulder. Beautiful 14k Gold Diamond Right Hand Ring. 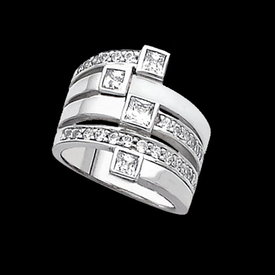 Two 1/4ct princess cut diamonds bezel set help create this design for a 1/2ct tw ring. Email for additional diamond pricing. Diamond Right Hand Ring. 14K Gold Contemporary Princess Design. Diamond quality is SI 1 in this ring and G-H color. Princess Diamond measures 4mm, 3/8ct tw. Elegant Design. Diamond right hand ring now available in 14k White Gold also by special order 14k Yellow Gold or Platinum. 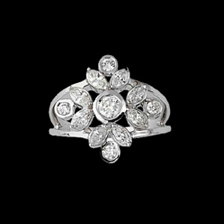 Diamonds total 1/3ctw in this delightful ring design. Diamond weight approx. .39ct tw. Very stylish Diamond and White Gold ring.